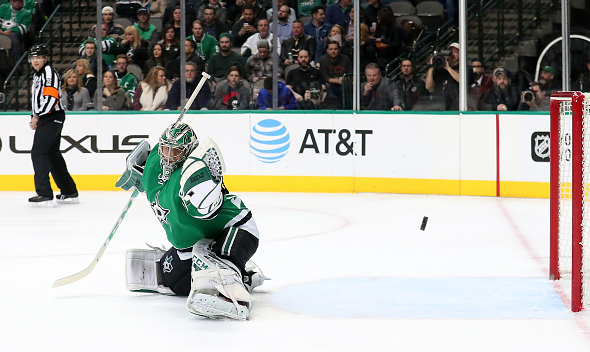 Despite a 5-2 win over Arizona last night, the Dallas Stars are a far cry from the year before. After several seasons in the wilderness, last season looked like a turning point. Finally Head Coach Lindy Ruff has assembled a dominant unit. Throughout the regular season, they looked a force to be reckoned with. Their eventual second round exit to St Louis was a real shock to all. Tragically the danger has seemed to have subsided this year. Sitting 12th in the Western Conference with a record of 24-27-10, Dallas has only shown flickers of that great promise. So what has caused them to fall so far down? Well, the answer appears to be a fundamental lack of depth. Look closely at their top scorers and you will see they have been sticking to the tried and tested formula. To their credit, last year this was the key ingredient to success. But like all great secrets, eventually, people begin to clue in. The Spezza-Seguin-Benn line was undoubtedly what made them so strong in 2015-16. This year this triumvirate has been equally as strong. Seguin is again top scorer with 59 points while former Art Ross winner Jamie Benn follows with 56. Jason Spezza is trying to keep up with 33 but you can be sure of a challenge. One big problem the Stars now face has been trading their 3rd best scorer Patrick Eaves, who was dealt yesterday to the Anaheim Ducks for a conditional second round pick. Although their supporting players like John Klingberg and Antonie Roussel do offer great support, everyone else seems to be struggling. Veterans such as Cody Eakin, Patrick Sharp, Dan Hamhuis and Jamie’s brother Jordie Benn are barely scraping double digits. Johnny Oduya, who was so strong last season on the blue has only seven points to his name. With this sort of roster, they should have been challenging for least a wildcard spot. Everyone seems all out of ideas at the American Airlines Arena. A less than productive offseason in 2016 seems to be where the rot set in. You can’t fault either Ruff or GM Jim Nill because it looked things were coming together. This oversight has made Dallas look like a one trick pony whose act is growing thin. This over-reliance on their key weapon has made teams clue into their approach far too quickly. Eaves could just be the tip of the iceberg before the trade deadline. Although he has been great in 2016-17, using him for picks is a smart first move. Another issue hindering Dallas is their goalie situation. Ruff seems unable to decide whether Kari Lehtonen or Antti Niemi is number one. Both make strong cases, but this lack of definite choice could be affecting both. Lehtonen has been a mainstay of this team and currently has the bulk of the game time. His record currently stands at 14-18-6 with a GAA of 2.86. Niemi has chipped in with a record of 10-9-4 GAA of 3.19. Both are equal quality goalies and each capable of holding down starting jobs. They say some friendly competition doesn’t hurt – but having two number one goalies always leads to issues. Ask the Vancouver Canucks on that front. The Stars are most likely facing a gigantic rebuild because although their roster is stocked, a lack of young guns is obvious. Does Dallas need to score big at the draft? Getting a top 10 pick would help, but they will need to look closer. Over the summer there could be some hard goodbyes. Lindy Ruff is a coach we all admire and he has shown he can take Dallas where they need to be. Last season, this was my favourite team to watch and I firmly believe that again they will be equally thrilling. Nill and Ruff better prepare for some big decisions this summer.